We offer our prestigious clients the premium quality range of Dehydrated Carrot. In synchronization with the set Food industry standards, our provided carrot is well processed using high grade natural ingredients, carrot and latest processing technology. Owing to its proper composition and optimum purity, this carrot is widely appreciated by our precious clients. Moreover, to ensure the best quality, the offered powder is stringently tested by our quality controllers on various quality parameters. Our company engaged in processing and exporting of dehydrated carrot flakes, carrot granules, carrot powder to different countries. We are a unique entity in the market, actively committed towards offering a premium grade of Carrot Powder. In synchronization with the set Food industry standards, this powder is processed under our renowned professionals using high grade natural ingredients, carrot and latest processing technology. 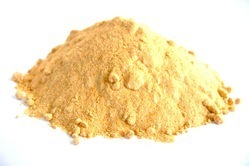 Owing to its rich source of vitamin A and precise composition, our provided powder is highly demanded among our clients. Furthermore, our quality auditors check this powder on various quality parameters to avoid any flaws. 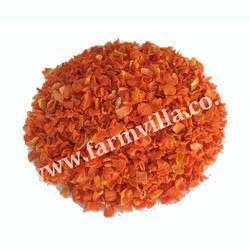 Our company engaged in processing and exporting of dehydrated Carrot falkes and carrot powder to worldwide.